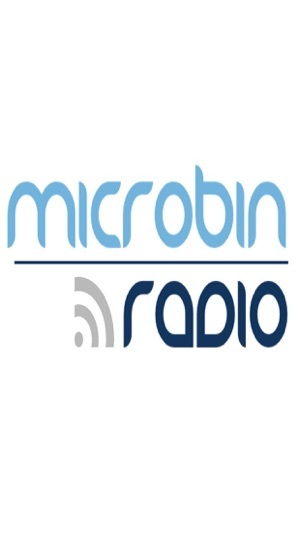 Microbin Radio is a dynamic, progressive Internet talk radio platform created to provide content driven shows that will enlighten, inspire and empower you with your life’s pursuits. The topics of conversation features shows ranging from entrepreneurship, career development, real estate, healthy lifestyle, sustainable business and living, evolving technology and legal advice. Our hosts are stars who are experts in their various fields and will share with you their wisdom and knowledge, to create a conversation that goes from the ordinary to the extraordinary. 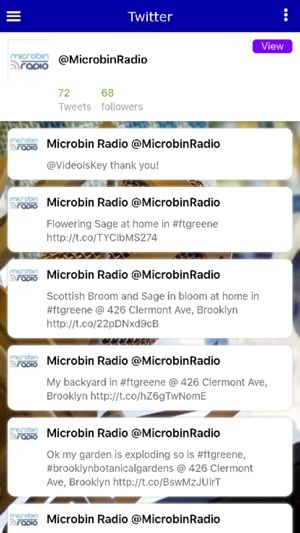 The mission of Microbin Radio is to elevate the conversation for our listeners and provide an interactive platform, so we invite you to join the conversation at anytime. 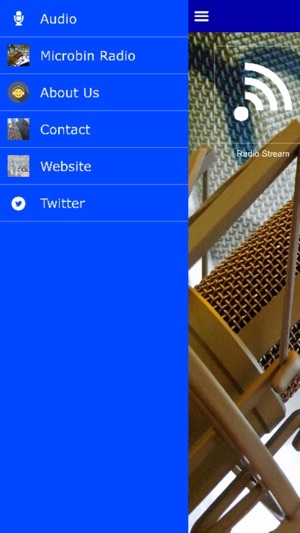 We welcome you to be our partner in this journey of progressive radio discussion. 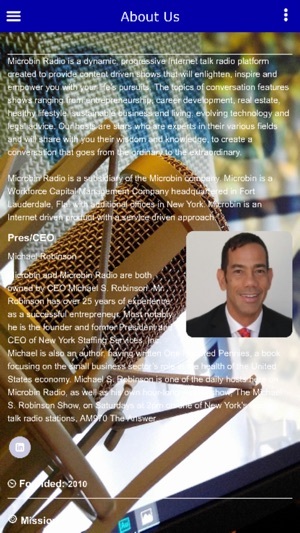 Microbin and Microbin Radio are both owned by CEO Michael S. Robinson. Mr. Robinson has over 25 years of experience as a successful entrepreneur. Most notably, he is the founder and former President and CEO of New York Staffing Services, Inc. Michael is also an author, having written One Hundred Pennies, a book focusing on the small business sector’s role in the health of the United States economy. Michael S. Robinson is one of the daily hosts here on Microbin Radio, as well as his own hour-long weekly show, The Michael S. Robinson Show, on Saturdays at 2pm on one of New York’s leading talk radio stations, AM970 The Answer. 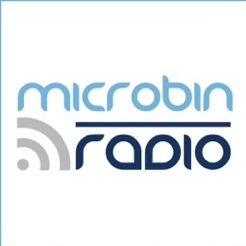 Make sure to visit microbinradio.com for recorded podcasts of all shows that air on Microbin Radio. We invite you join us in being a part of the conversation.